People love coming to shop for a new car here at Pohanka Honda of Salisbury on the Delmarva Peninsula for a whole host of different reasons, with one of the top reasons being our friendly and knowledgeable staff. In fact, our staff is always at the ready no matter what a customer wants, needs or is looking for – even if that customer simply isn’t quite sure what it is they need. For example, let’s say that a customer is looking for a new Honda model that combines the drivability and design of a coupe with the functionality, capability and interior space of an SUV. In that case, we’d point that customer to the 2018 Honda HR-V models we’ve got it stock, because no other model out there is going to fit their needs quite like a new 2018 Honda HR-V.
What’s Under the Hood of the 2018 Honda HR-V Lineup at Pohanka Honda of Salisbury on the Eastern Shore of Maryland? And How Much Passenger and Cargo Space is Inside the 2018 Honda HR-V Lineup? The 2018 Honda HR-V lineup at Pohanka Honda of Salisbury on the Delmarva Peninsula features three impressive trim levels for you to choose from, each of which offer you the choice between front-wheel drive and all-wheel drive along with the choice between a six-speed manual transmission and a Continuously Variable Manual transmission. 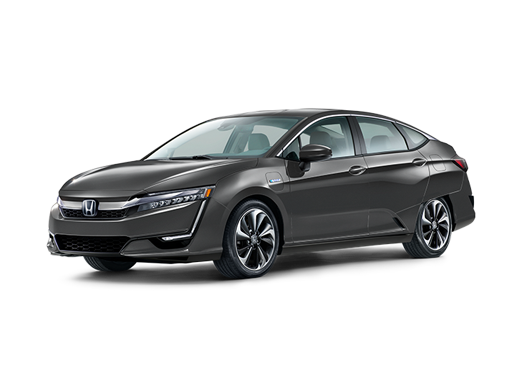 Your drivetrain and transmission choices will then pair with an i-VTEC® 1.8-liter in-line four-cylinder DOHC engine to provide you with a horsepower rating of up to 141 and a torque rating of up to 127 pound-feet. Where the three 2018 Honda HR-V trim levels really differ is in terms of interior space. That’s because the 2018 Honda HR-V LX provides you with up to 100.1 cubic-feet of passenger volume and up to either 58.8 cubic-feet (when featuring front-wheel drive) or 57.6 cubic-feet (when featuring all-wheel drive) of cargo volume. The other two 2018 Honda HR-V trim levels provide you with up to 96.1 cubic-feet of passenger volume and up to either 58.8 cubic-feet (when featuring front-wheel drive) or 55.9 cubic-feet (when featuring all-wheel drive) of cargo volume. For more on the 2018 Honda HR-V lineup, please contact our staff here at Pohanka Honda of Salisbury on the Delmarva Peninsula.